"She tried to settle that most difficult problem for women, how much was to be utterly merged in obedience to authority, and how much might be set apart for freedom in working." North and South is a novel about rebellion. Moving from the industrial riots of discontented millworkers through to the unsought passions of a middle-class woman, and from religious crises of conscience to the ethics of naval mutiny, it poses fundamental questions about the nature of social authority and obedience. 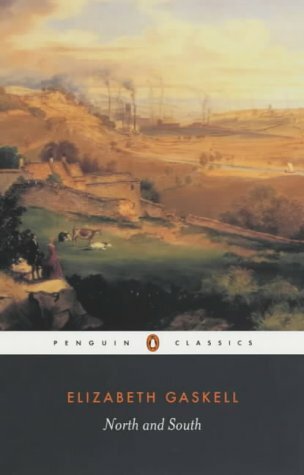 Through the story of Margaret Hale, the middle-class southerner who moves to the northern industrial town of Milton, Gaskell skillfully explores issues of class and gender in the conflict between Margaret's ready sympathy with the workers and her growing attraction to the charismatic mill owner, John Thornton. This new revised and expanded edition sets the novel in the context of Victorian social and medical debate. Move over Lizzie Bennett, Margaret Hale has found her way into my heart. Margaret Hale is a heroine to be cherished. In North and South by Elizabeth Gaskell, we see Ms. Hale’s coming of age. Margaret goes from being concerned only with the trivial, to developing a social conscience. I find Miss Hale to be an admirable, strong woman. I liked that there was more to North and South than just romance, (I’ll admit the romance part was nice). It is a commentary on industrial society and agrarian society. It also contains a commentary on humanity, on the plight of workers in the industrial North. Clearly, Gaskell’s sympathies are with the workers, and I liked that. As far as characters go, Mr. Thornton was a fantastic love interest. I felt he was relatable, as his love was an unrequited love, and who hasn’t ever been rejected? I liked that Mr. Thornton also underwent a change. Personally, I think his chemistry with Margaret was sizzling. I loved that North and South made me feel heartbreak, anger, and joy. Over all this was a lovely book to pass the hours with. I think if you enjoyed Pride and Prejudice you will enjoy North and South. While reading North And South by Elizabeth Gaskell, I would suggest you drink some Arbor Mist Strawberry. It’s a sweet, simple drink. It’s not very strong as far as alcohol goes. If you chill it before you serve it, chances are you’ll enjoy it much more and you’ll pass the day away with the sweet book, and your sweet drink!